Born and raised in Frederick, MD, Brittany Ryan spent most of her childhood enjoying all that the greater DC Metro area has to offer. After high school, she moved to West Palm Beach to pursue a Bachelor’s Degree in Marketing while soaking up as much sun and salty air as possible. She missed living close to her family though, and shortly after graduation, she returned home to start her career. She currently lives in Glover Park with her rescue dog, Lucy and her cat, Sawyer. Real estate is in Brittany’s blood. She found her passion for real estate sales very early in life by studying at the side of her father, Dan Ryan of Dan Ryan Builders, and her grandfather, Jim Ryan of Ryland Homes. 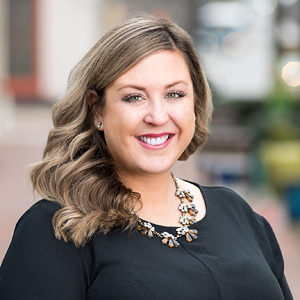 Before coming on board with the Erich Cabe Team, Brittany was making a name for herself with Bozzuto Management Company leasing high end luxury apartment homes, and with McWilliams | Ballard selling new construction townhomes and condos. Brittany is known as much for her warm and welcoming demeanor as she is for going above and beyond for her clients. Her fierce determination to meet her clients’ needs along with her tireless work ethic truly set her apart from her peers. I was absolutely delighted to have Brittany guide me through my first home purchase in New York City. Before I met Brittany, I had a general idea of the kind of home that I wanted but I was still undecided on several key issues. Talking through my options with Brittany helped me identify the exact kind of building that I wanted and the parts of DC that were most right for me. She really knows the city really well and has a good sense of the available inventory. My housing search did not take very long. Once Brittany figured out what I wanted, she immediately prepared an amazing list of suitable homes. With her guidance, I made an offer on one of them and it was accepted. The process of going through a closing can be a bit nerve-wrecking but she held my hand throughout the process and made sure that I understood each and every step. It was a seamless process every step of the way and I could not have asked for a better person to represent me.